It's been a busy, albeit fun, weekend! I had some time to participate in various stamping challenges this weekend. 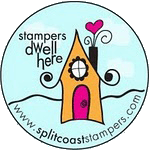 My first card is to honor the featured stamper, Theresa Momber, on Splitcoaststampers with a casing of her beautiful Wishful Thanks card. Theresa always achieves such beautiful effect of lighting and sponging on her cards, and I was so excited to give this technique a try. She makes it look easier than it is (well, for me anyway). All the floral and vine images are new releases by Rubbernecker, and I love the vast array of choices in the stamp sets! I discovered the Ranger Adirondack cranberry matches SU's Rose Red so beautifully, and I love the richness of the Adirondack inks! I did faux paper piercing by dotting around the frame with a black marker. I also dotted and drew lines on my punched butterfly. I put liquid pearls in the center of the butterfly and, once dry, I colored it black with a Copic marker. My next card is one I made for yesterday's Inspiration challenge on SCS where Stef chose the Williams Chambers Milinery for our inspiration website. There were so many cool hats from which to choose! I chose this purple hat (go figure, huh?). I think it would be so fun to be able to wear some of these cool hats, but, where I live, there's no place to wear them. 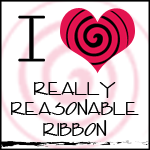 I chose to use my Little Lovin's Little Woman stamp image by Rubbernecker. I think she is just so sweet all dressed up in her refinery. Reminds me of playing dress up when I was a little girl. 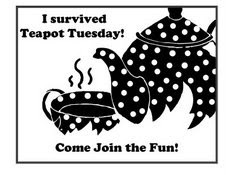 I made this a gatefold card for Gina's challenge on StampTV. I watercolored her using Adirondack inks (Lettuce, Denim, Red Pepper, Butterscotch, Ginger) except for her face and shoes where I used Copic markers. I used platinum liquid pearls for her shoe straps and her necklace. Oh, and remember mulberry paper? That's what I used behind the white circle: purple mulberry paper! 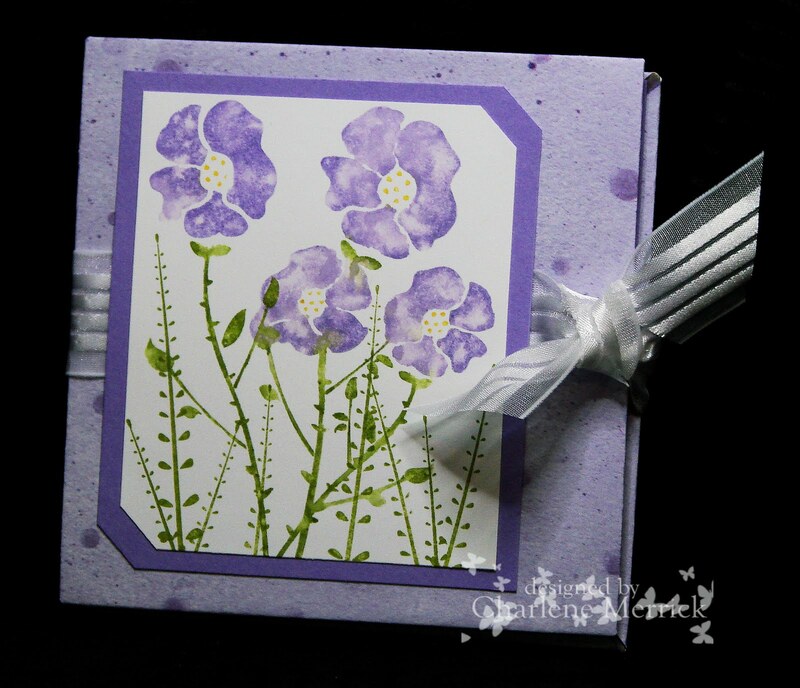 If you'd like to know how to make a gatefold or mini accordian album, the Resources section on Splitcoaststampers has fabulous, easy-to-follow tutorials. Oh, one last thing, if you've read this far, I took a new photo for my blog banner adding some m&m items I've collected. My most recent acquisition is the vintage m&m truck canister my friend Lynn gave to me this weekend. She even had these mini m&ms packed on the inside! What a gal! Thank you, Lynn! I hope you've had a wonderful weekend and a Happy Easter! I thought something was different! Love the new banner. And I have to say it looks like you had a very fun and productive weekend. Great projects! What wonderful inspiration! Your cards are gorgeous! Three fabulous creations, Charlene! Love all your cards! Wonderful coloring and designs! 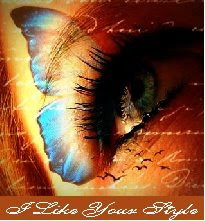 Love all your new thingys on your blog header! Wow Charlene! How do you do it all? I love every one of your projects! The little woman image is just too cute and your coloring is amazing!! !Love the accordian book too! I didn't have time to do hardly anything on SCS last week! Your new banner is fab too!!! 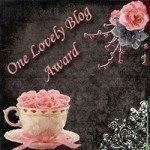 Thanks soooo much for coming to see me on my blog too! Good to see you! Hugs! gorgeous cards Charlene! They are all beautimous! LOVE your fantastic accordian. I have yet to try one but i want to now! All your stuff is just clever and fun,, Charlene...but the accordian card caught my eye...beautiful!! Hope you had a wonderful Easter and glad you had some quiet time to do the things you love!! These are all beautiful, Charlene, but MANNNNNN am I lovin' that first one with the cranberry...so vibrant! WOW, girl...ya got some mighty beautiful works of art here!!!! Each one is full of gorgeous colors, coloring, layouts, details...you are just ooozing with talent!!!! !